Ali spoke to Paul Stanley Ward from Polhill Protectors who are thriving on the momentum of an amazing success story. Locals who use Polhill reserve for all sorts of different recreational activities – among them are runners, ramblers, mountainbikers, and twitchers – have united with local business owners and other institutions to help the ever increasing birdlife that is spilling over the Zealandia fence. 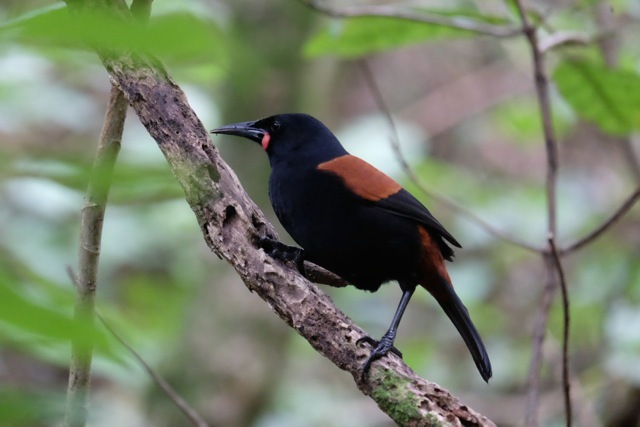 Last year saw the first saddleback nesting outside of a sanctuary in over 100 years. Paul tells us about the group’s humble beginnings and what makes Polhill so special to so many people, as well as discussing where the group will go to from here…. there’s some exciting things in the pipeline! You can hear the interview below. This entry was posted in Social & Civic and tagged paul stanley-ward, polhill reserve, Wellington by lauriestarfish. Bookmark the permalink.